Discussion in 'Sega Dreamcast Development and Research' started by asasega, Nov 15, 2017. Can't find any of these codes. Which one is the one I replace? I would appreciate it if you tell me 60fps buttles hexedit code for Grandia 2 JPN . But I want to hexedit GDrom files . Yes Arcadia is double speed everywhere. I wanted to see if I can find on my own a fps code for grandia and I was curious if the game is auto adjusting speed at 60fps. It is auto adjusting only for batlles, on the field remains double speed. Maybe this will help people hack dreamcast games, in the absence of an emulator with debugging features. 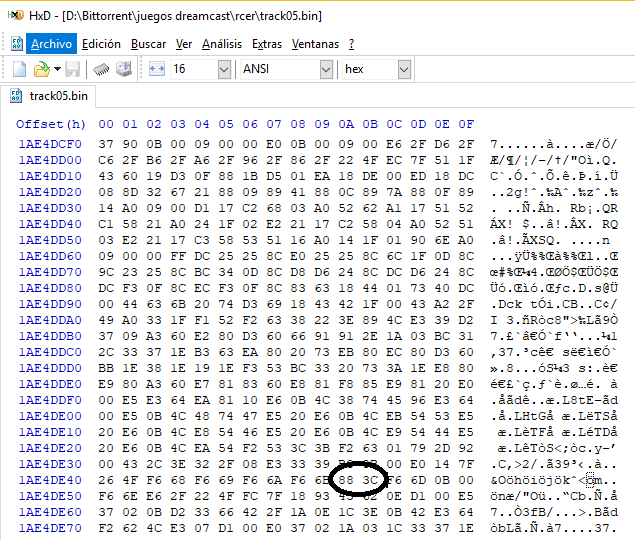 There is a way to have breaking points and stepping trough the code , seeing the registers etc using demul and cheat engine. For accuracy switch demul CPU mode to interpreter. Separate in notepad(or any other program) have the main elf disassembled obtained by any sh4 dissasemmblers available. Example 2: let's say you find the ammo address for Biohazard, then set a write breakpoint to that adress and when the break happens just look at the PC register. The value of the PC is the exact location in the dreamcast elf where the write happened. Then if you just want to step further, set an additional writebreakpoint to the PC register, this way you can continue stepping from the initial ammo break that happened. You just follow the PC values in the opened dissasembled file. These methods work for any emulator and cheat engine is nice because it is a value seracher and debugger in one. Can someone please explain how to use this info? im not terribly familiar with Cheat Engine and i dont know what specific version of demul he was referring to. I tried patching the versión US Star Wars - Episode I - Racer T23001N V1.001 in offset 1AE4DE4A changing the value to 88 3C, but the game freezes nothing you start. @Esspiral Adam Koralik posted a video with James Reiner about 60fps and Shenmue 1 & 2 HD release, but I don't think they ever saw your post here about trying to make it true 60fps. I wonder how hard it would be to actually mod the game on PC to use your animation fix? I know it restarts every time you enter a new area disabling the fix but maybe something could be done easier on PC than the emulated version? MastaG and fafadou like this. You can hex exit the game to make it permanent. Haven't seen the video, but animations and cutscenes animations are not keyframed or frame rate dependant, you can slow down or speed up any animation and it will play smoothly. Sorry my memory may be failing, what code? americandad and Anthony817 like this. So, if I want to Hex edit the iso, I must go to the offset 3979D388 from the file "track5.bin", and, in there, change the value "010CC248" with "00000009" ? Exactly you have to do that. This is a codebreaker code, first line is a RAM address, second line is the value to be written there. pepodmc and fafadou like this.